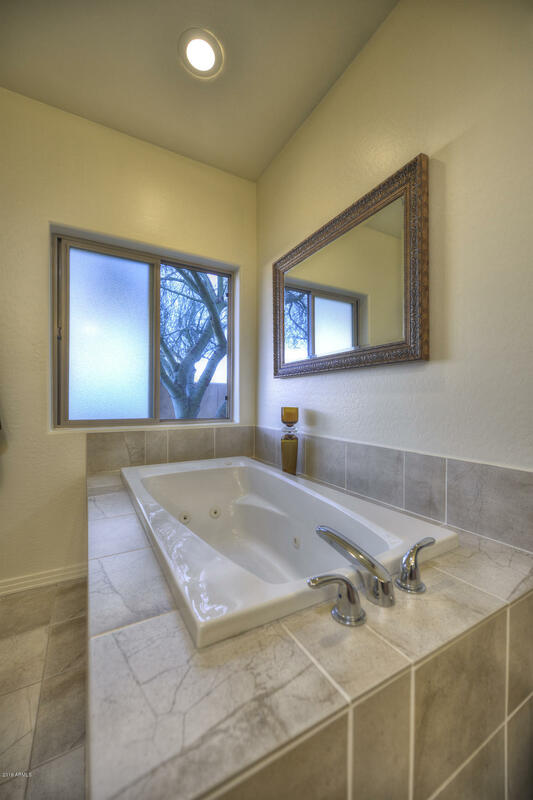 Still opportunity for your Buyer- house to sell first! 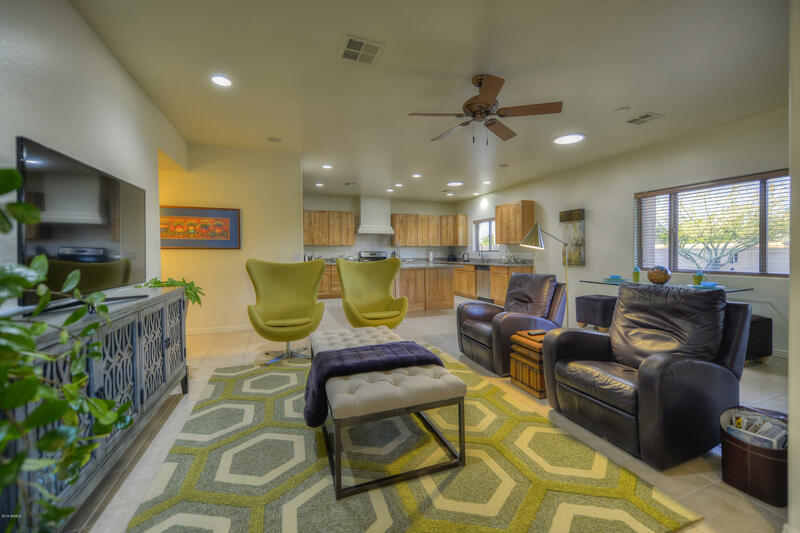 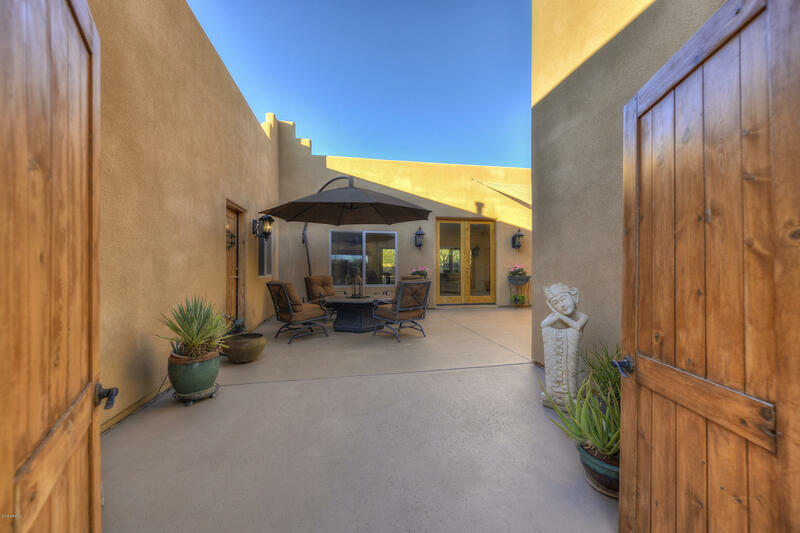 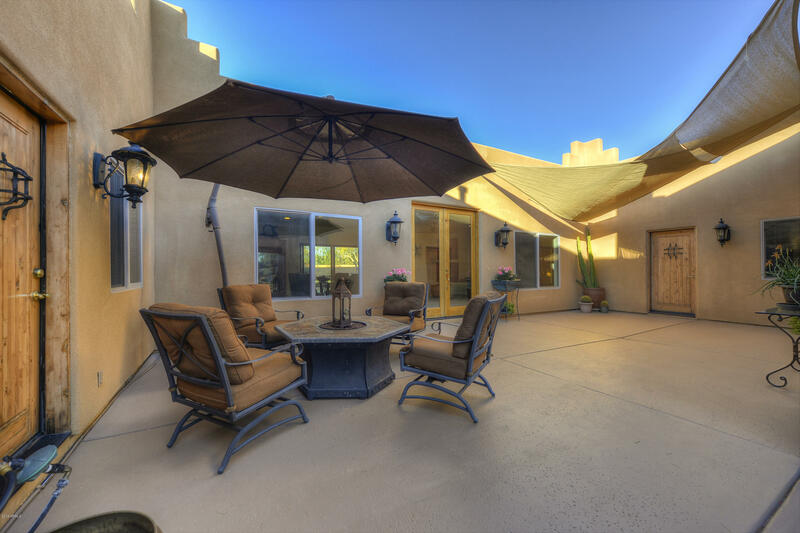 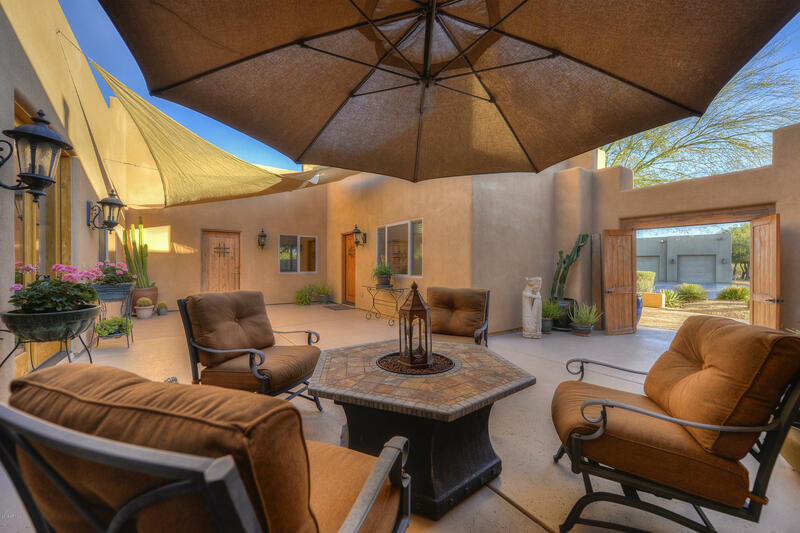 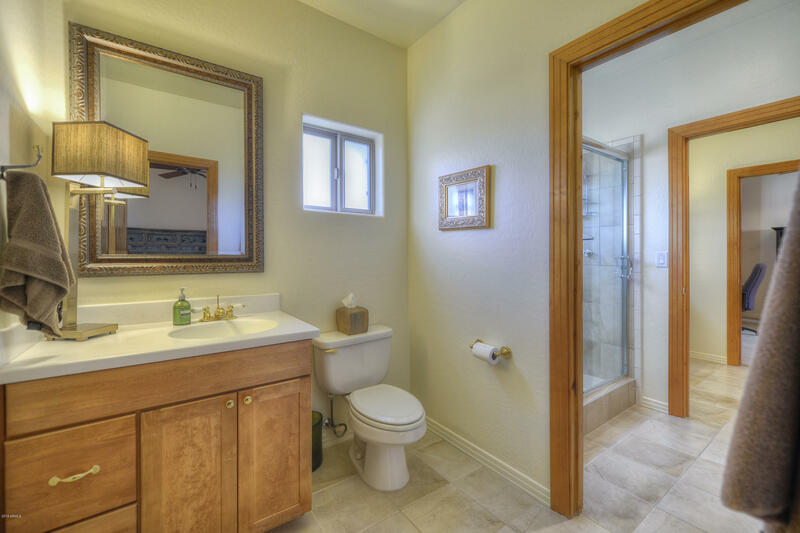 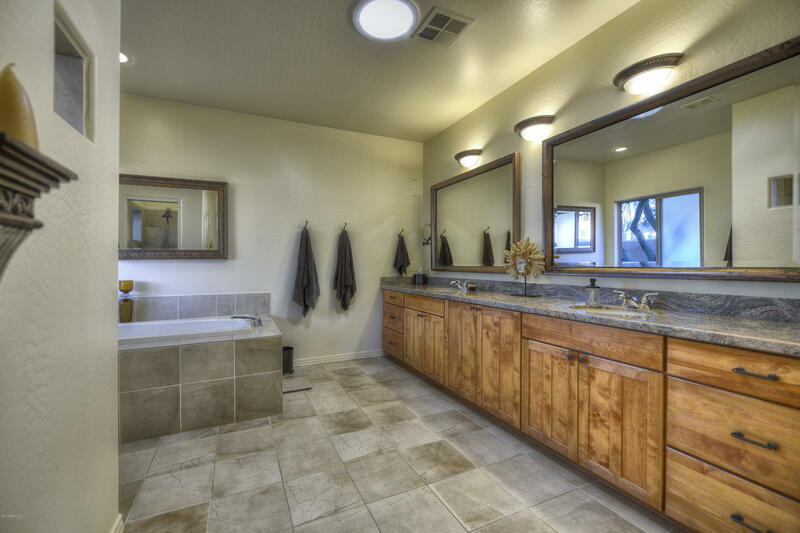 This charming Santa Fe home enjoys a welcoming courtyard that gives you a garden-like private feel throughout the house. 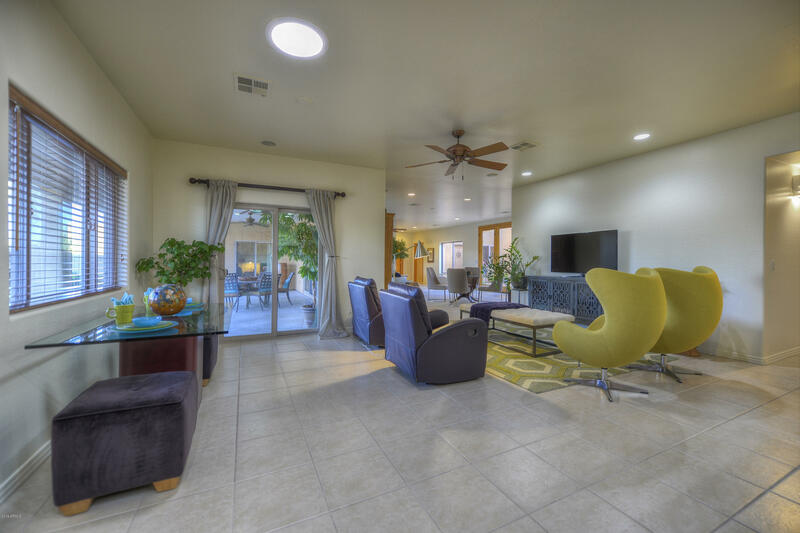 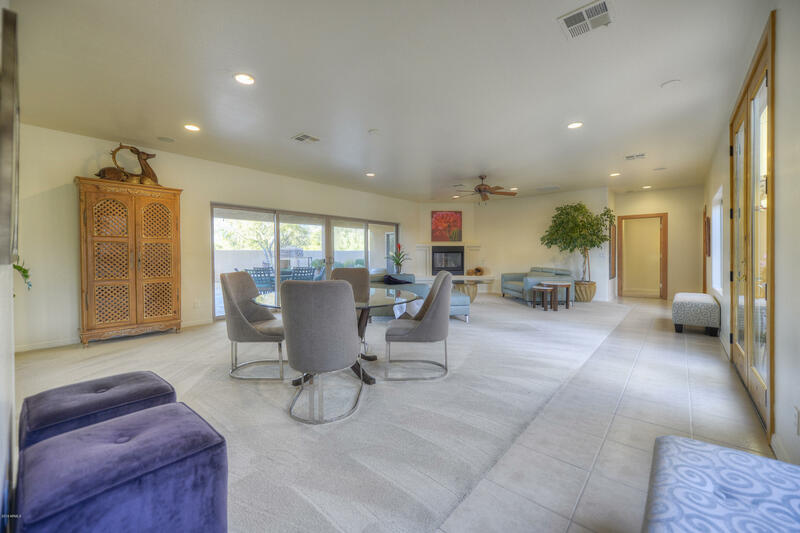 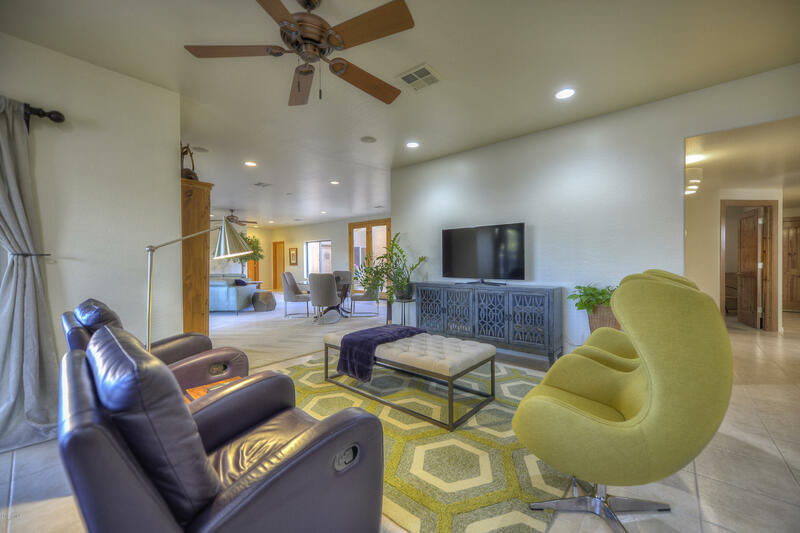 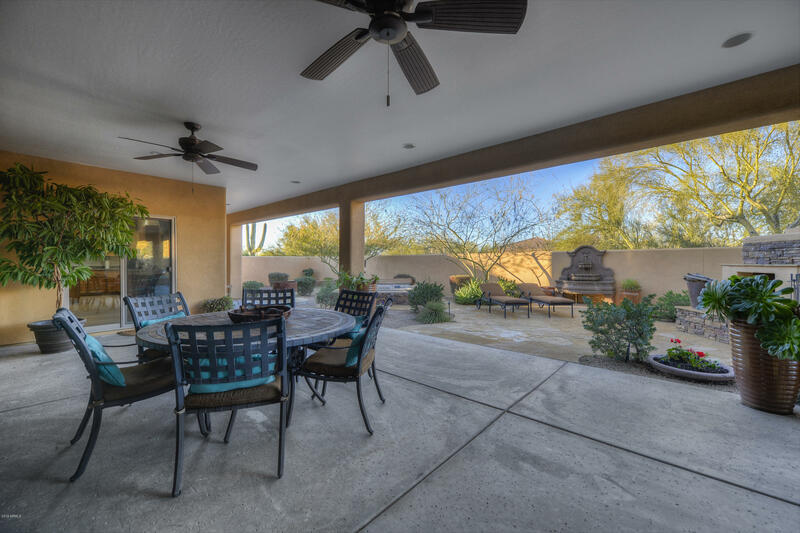 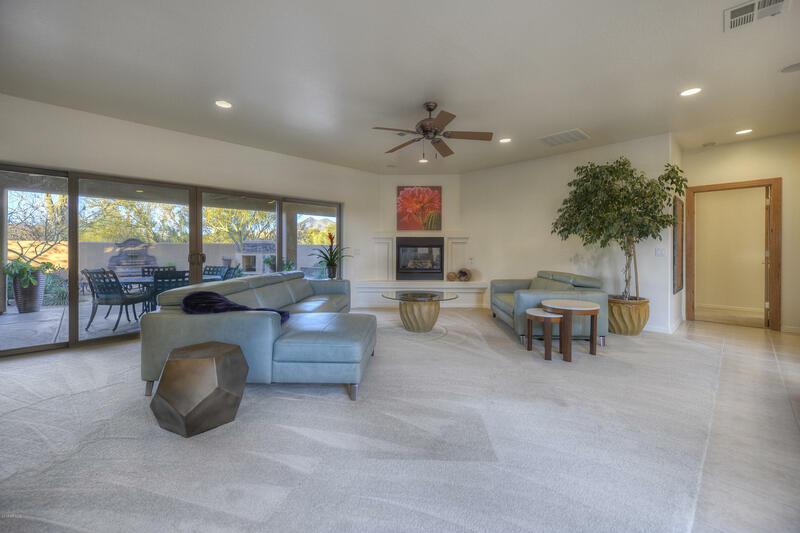 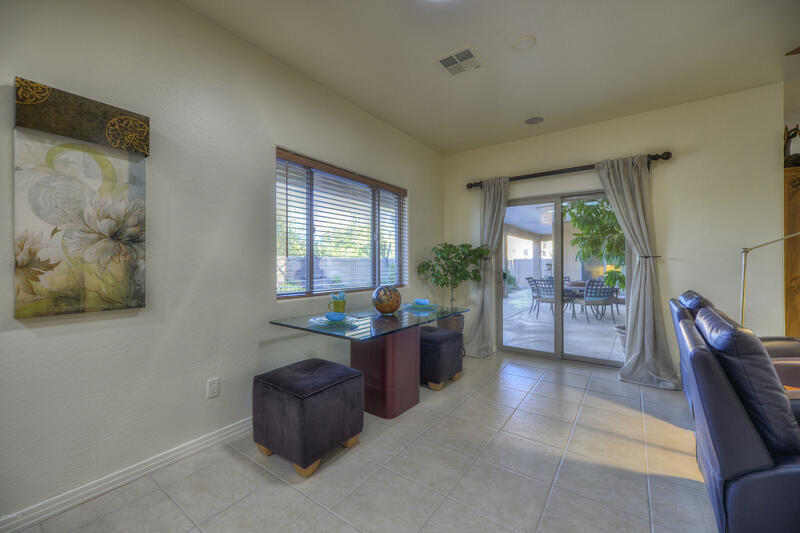 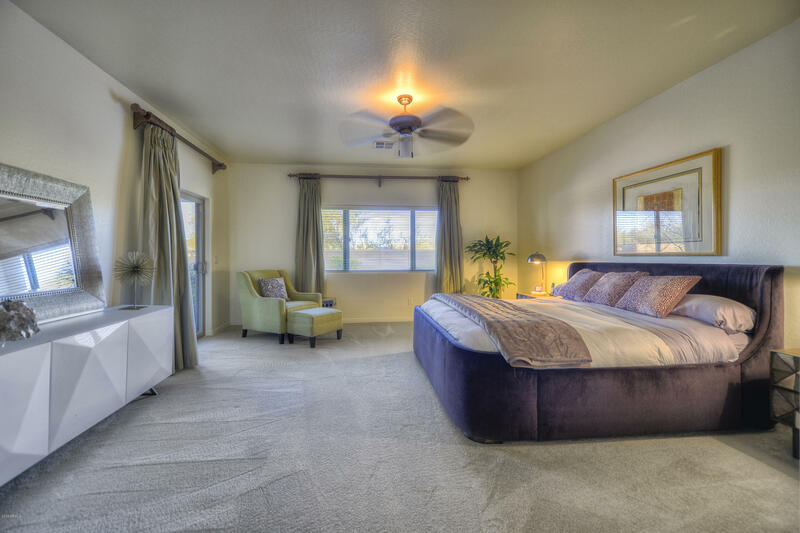 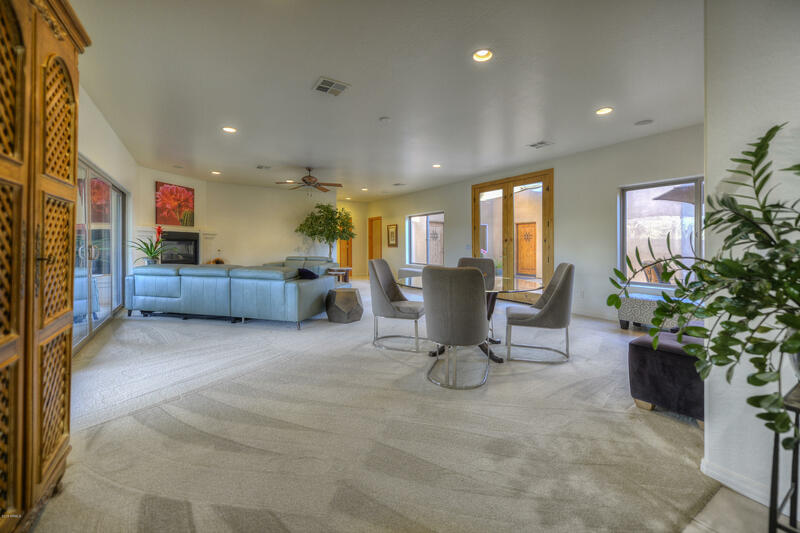 Most every room opens to the courtyard which is gated for security and at the same time brings the beautiful Arizona sunshine and weather inside. 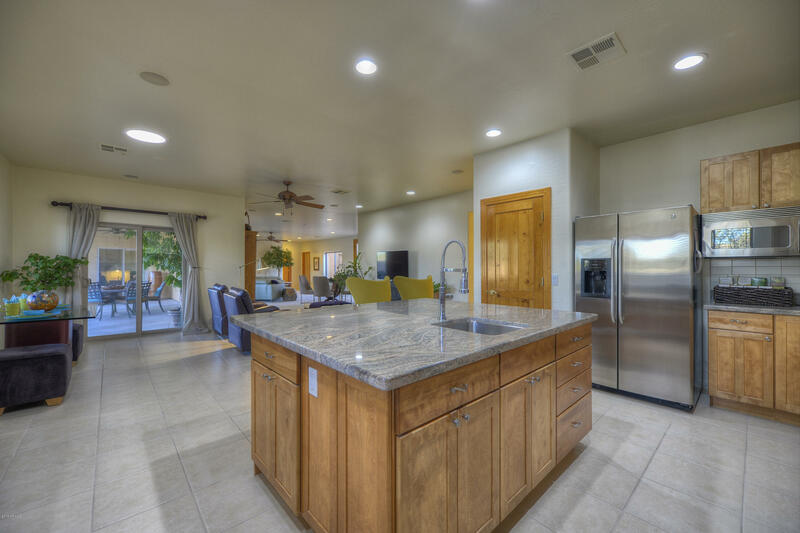 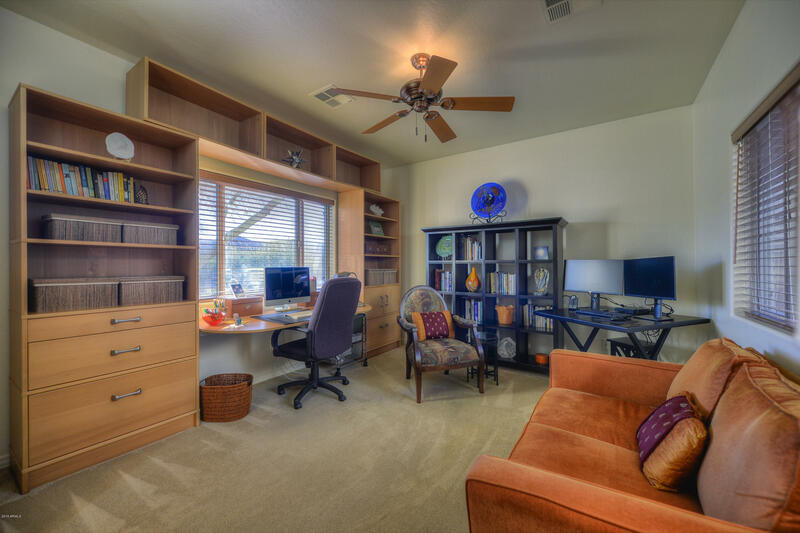 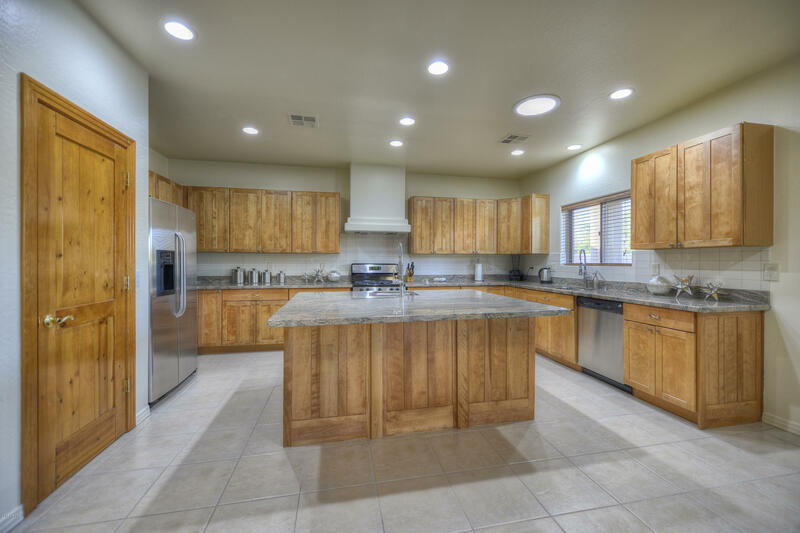 Double door entry to a large living room/family room combo that is open to the family room and chef's kitchen. 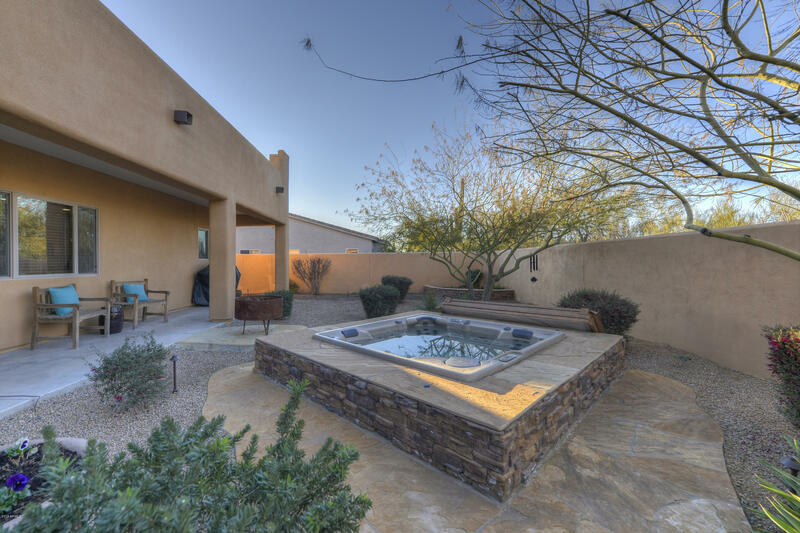 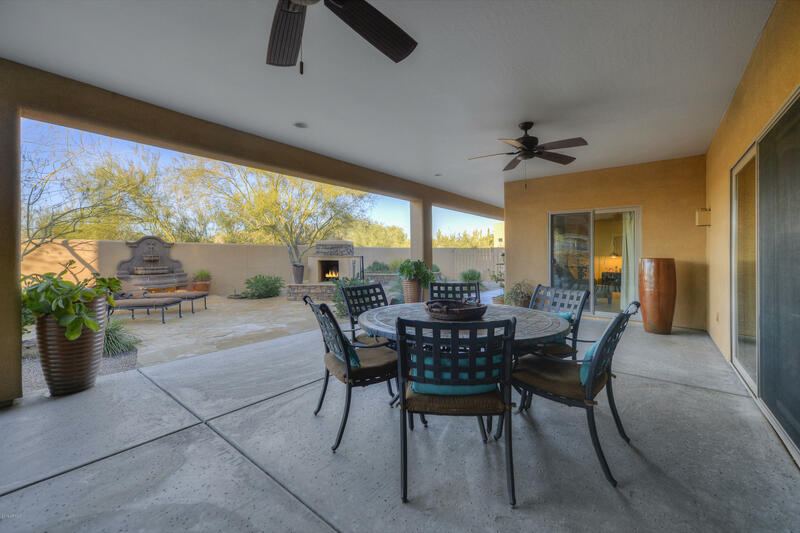 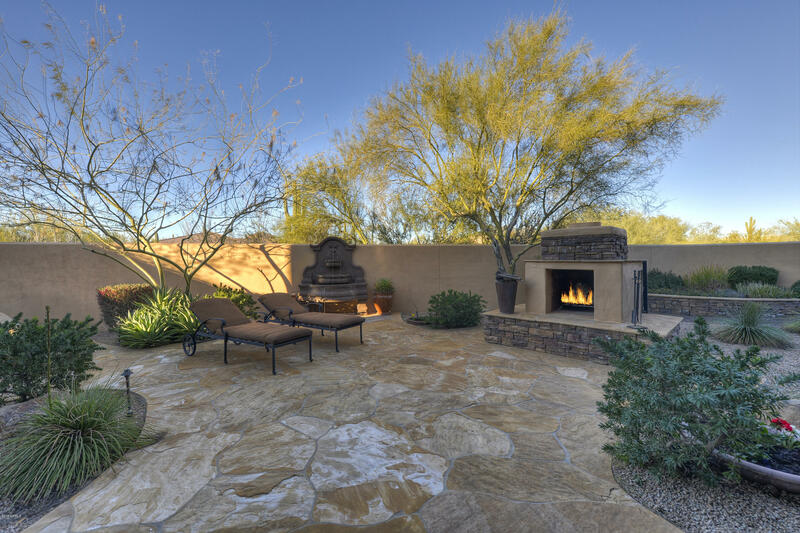 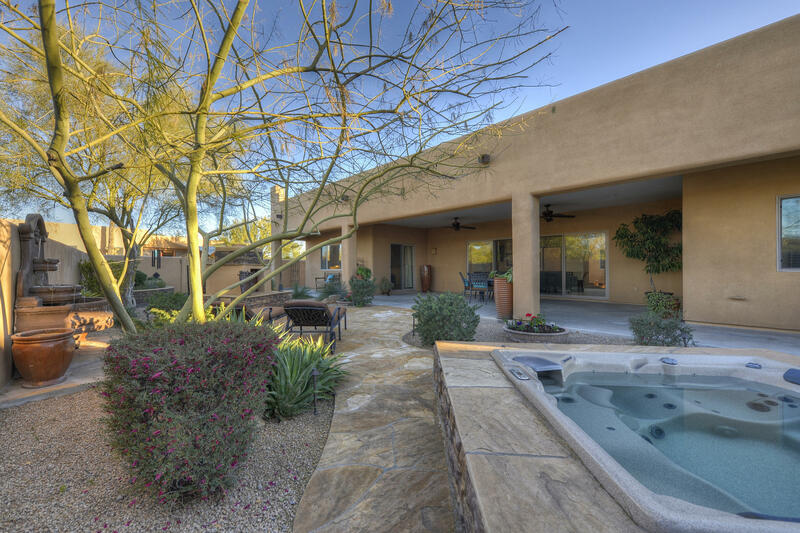 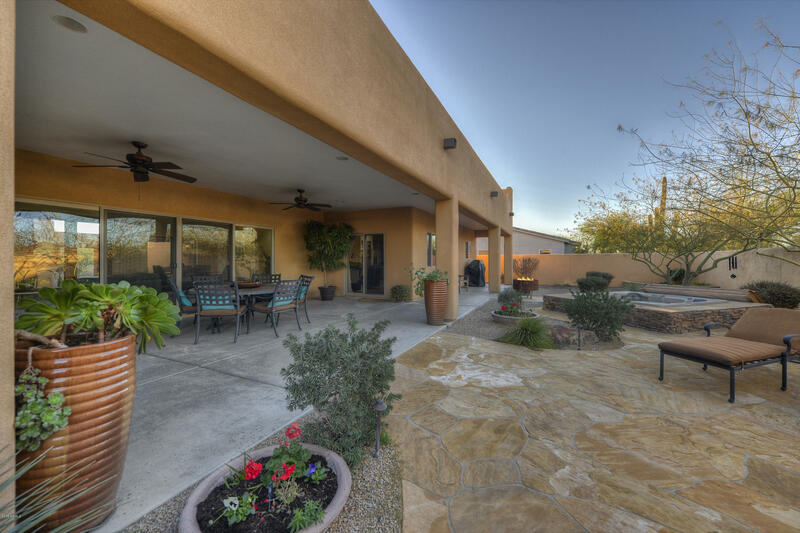 Double door to your backyard which is beautifully appointed with a large spa, fireplace, fountain and beautiful desert foliage. 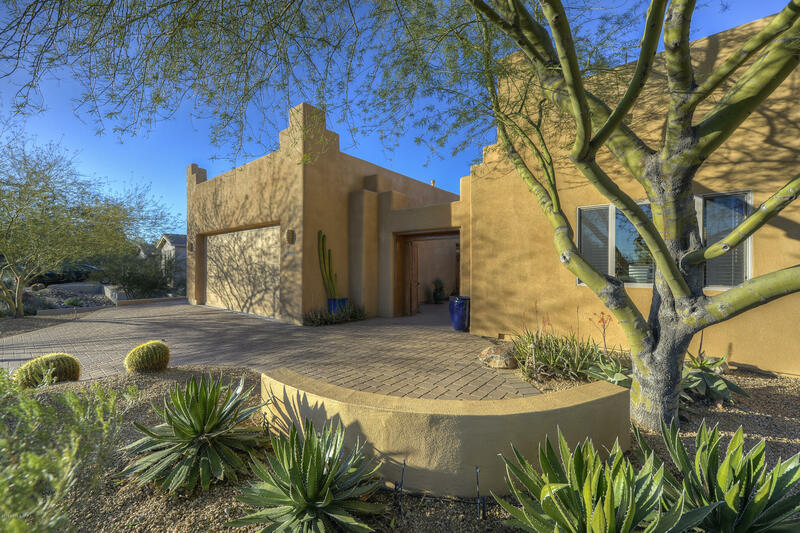 The lot extends past the block fence which is embraced with lush Sonoran foliage. 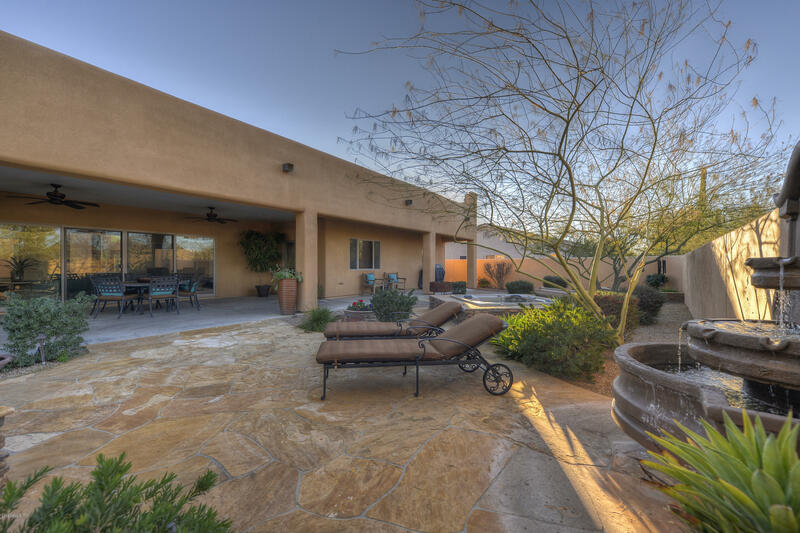 Black Mountain looms in the backdrop. 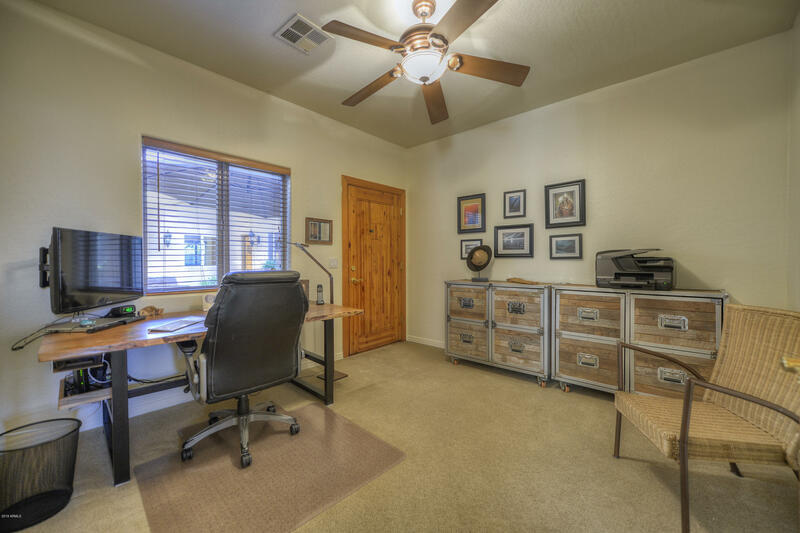 Attached Casita currently used as an office. 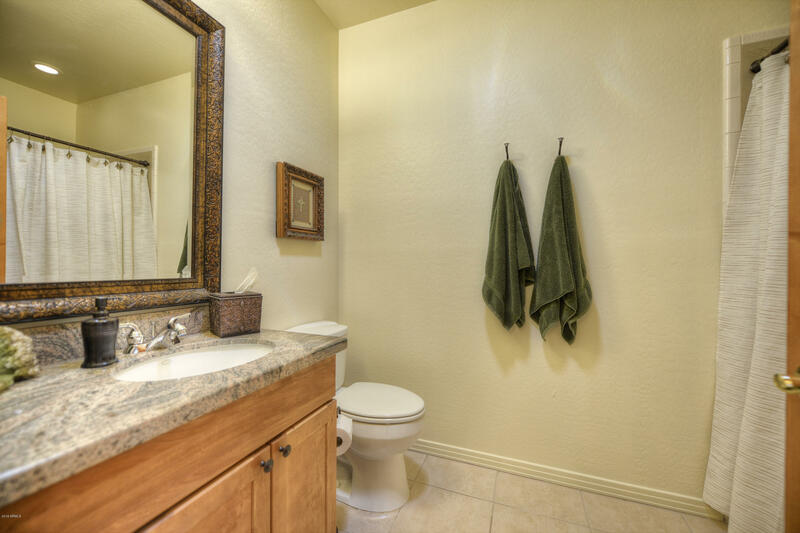 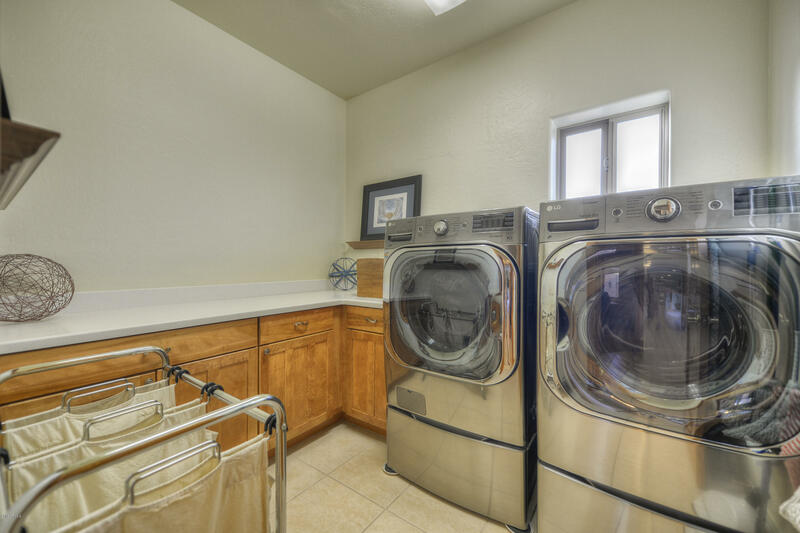 Great sized laundry room! 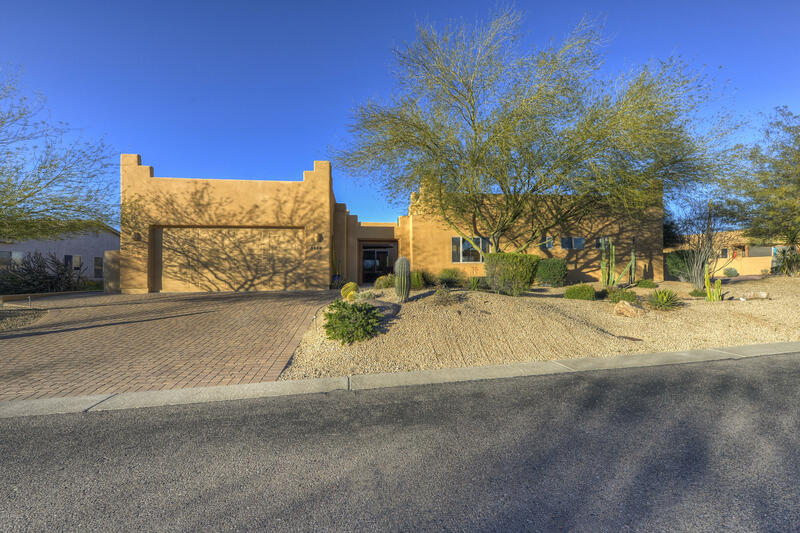 Approx 1/2 acre, corner lot. 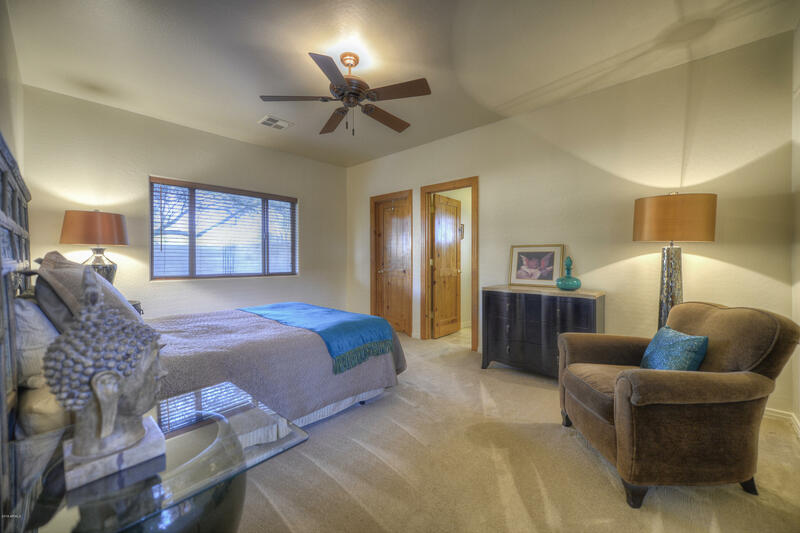 East to Dove Valley Rd, North to first gate, Desert Forest Trail. 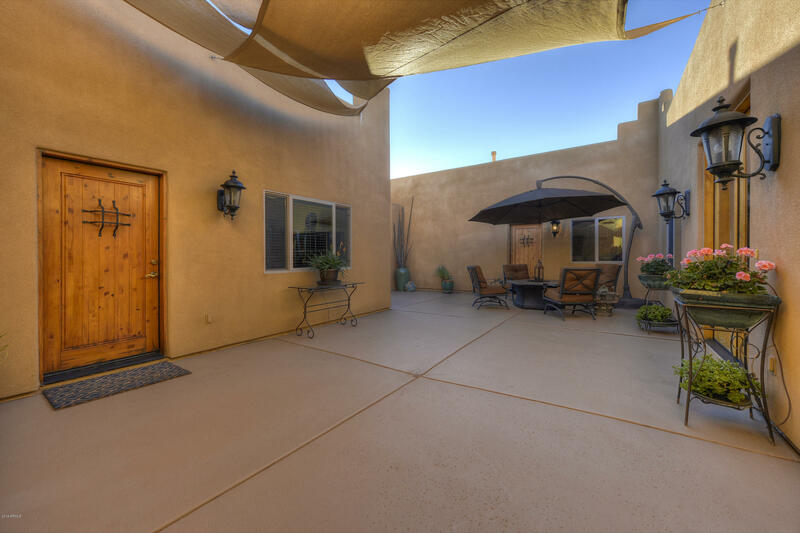 Through gate to house on north side of the street on the corner.